New to the market is a three bedroom family home that has been meticulously maintained over the past 50 years. Confidence is shown in the quality of this home with the owner happy to supply a pre-purchase building report for buyers. Street appeal is pleasant with entry to the home via a fully glassed sunroom which captures the morning sun with its perfect east aspect, many a morning is spent on this verandah. Entering the home you are greeted by a large lounge area with a split system air conditioner. From the lounge is a good size kitchen/dining where a full-size dining table fits comfortably. The kitchen has generous cupboard space and plenty of bench space with an electric oven/cooktop combined. 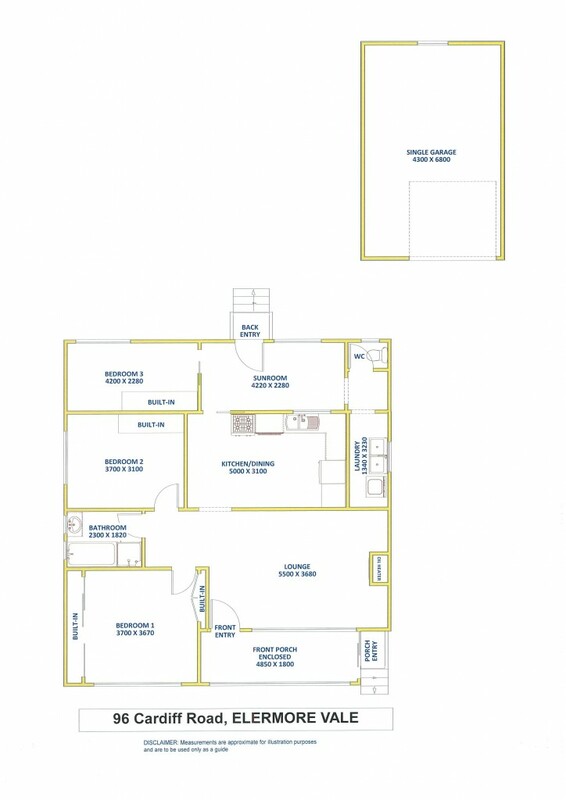 All three bedrooms are double size with the master bedroom having a floor to ceiling built-in wardrobe. Bathroom facilities are central with a full size bath, separate shower and vanity. The WC is separate off the good size laundry. There is a second sitting area to enjoy plus a single lockup garage complete with workshop. If you want your new home to be easy care, on a level block, in one of Newcastle's ever growing suburbs with public transport at your door and Elermore Vale shopping centre a five minute walk then an inspection of this family home is a must. To view this pleasant home contact exclusive listing agent Allen Reece on 0409 814 400 or contact the sales team at Reece Realty on 4950 2025.